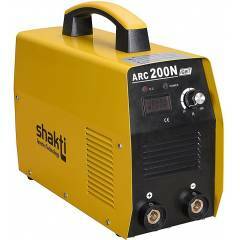 Light in Weight and less maintenance compare to other welding machine. 200 Amps. Inverter welding machine with 1.5M earth cable 2.5M holder with acc 16 sq mm cable Single Phase Less in Weight Less power Consumption Better In Performance. 7 of 7 users found this review helpful. Was this review helpful? 4 of 4 users found this review helpful. Was this review helpful?